It is natural to keep skin looking healthy, great, fresh and young. Different people at different stages like to maintain the skin in a particular way. Some want to keep the skin protected from the sun; others may want to get rid of wrinkles and blemishes, some others want to improve the complexion remain fair or tanned or of a particular texture. The skin is the largest organ of the body. It is sensitive to many different conditions. It is, therefore, necessary to understand and implement certain cautions to maintain an impressive and healthy skin. The skin cells can regenerate fast, but they have to deal with varying conditions of changing temperatures, humidity variations at different times, damage due to insects and mosquitoes, cuts and bruises, radiation, free radicles and much more. An all weather guarding becomes necessary for maintaining healthy skin. Many accessories in the form of Vitamins, A, E, C D, Antioxidants, zinc, fatty acids and a whole lot of nutrients become essential. 1. Almonds: They get rated as the best but smallest sized food that remains in high demand. Almonds provide the body with Vitamin E that shields from the adverse effect of sun, protects skin from cancer while acting as an antioxidant to reduce the signs of aging. 2. Citrus Fruits and Vegetables: Ordinarily fruits and vegetables useful for maintaining the high level of vitamin C. They taste sour and form the significant part collagen production. That is to say; they are intracellular tissues of bones, muscular tissues, cartilage, cornea, blood vessels, and organs. Vitamin c protects free radicles, as it works as antioxidants to counteract premature aging, the formation of wrinkles while improving quicker healing of all wounds and spots. 3. Fish: It plays a significant role in making the skin healthy as the fish is rich in omega 3 fatty acids that get recognized as ‘good’ form of cholesterol. The fatty acid written above is of definite help to fight against any damage due to cancer, promotes the of fluids in the cells, stimulates secure passage of fluids in cells, enhances skin cell membranes, and control inflammation of dermal cells. The inclusion of fish certainly improves the health of the glowing skin. 4 Pumpkin seeds: They are rated high in providing zinc to the body needs with a high content of nutrients and essential minerals. The zinc remains high on providing essential minerals to the skin, enhances the revival of skin cells, does not let down the production of collagen and also encourage cell membranes. 5. Green Tea: The antioxidant compound level in green tea is a high and appropriate defense against skin cancer. The tannin in the green tea performs as an astringent so decreasing signs of wrinkles on the skin. 7. Whole Wheat: It has a good quantity of Selenium as a mineral helpful in making one look younger and increases the flexibility and elasticity of the skin. 8. Olive Oil: It has a dual purpose in keeping human skin look good. The oil helps in controlling the internal damage done as it has antioxidant properties. The oil has anti-inflammatory properties. The external support is evident by controlling any inflammation or irritation. Olive oil when applied to the outer skin on skin softens the skin and also reduces wrinkles. 9. Broccoli: Broccoli has both Vitamin C & E that protect against free radicle and ultraviolet rays of the sun. Use this vegetable as a defense and protect yourself. 10. Low Fat Dairy products: The high importance Dietary vitamin A in high percentage obtainable from low-fat milk and other dairy products. This dietary vitamin A is also antioxidant that breaks down the beta-carotene linked to increasing skin health. 2. Here is what beer does to the skin and hair. Beer is fairly well known as it has health advantages when used in applying face masks, conditioners and as scrubs.It is a convincing reason for teetotallers to keep in stock a few pints of beer in their fridges. Therefore beer should be used be used for taking care of skin and hair in a better way. Use beer mixed with Jojoba oil after shampooing your hair. The warm beer is mixed with jojoba oil and gives a good volume to hair whereas jojoba oil keeps the hair shining with luster. Add a glow to your skin by mixing an egg white and a drop of almond extract with half a teaspoon of beer stirred and applied as a face mask. Let the skin get tightened and on a feel of dryness wash off with lukewarm water. You will find a glow on your face. Soften in beer laced water – Beer can be used in a bubble bathtub too! Mix some soapsuds with beer of your preference and add the compound to the running bath water. Dip in this water and feel your skin grow soft and creamy. Use it for a face pack – Take two to three strawberries mash with a fork, add few drops of beer and make a paste. Spread this paste all over your front in a round motion. Wash after 15-20 minutes and use moisturizer on your face. Use beer as a hair pack – Wash your hair with your regular shampoo. Now apply the mixture made of distilled water, beer, two teaspoon apple cider vinegar and few drops of essential oil, on your hair. Ensure it touches the hair that is underneath as well. Wash this mix with tepid water once a month. Daily routine cleaning face does not require much of effort. If not followed correctly, it can cause damage to the skin. The repeated mistakes can lead to problems of wrinkles, dryness, and irritation.Here we have given the corrective actions to save your skin from aging, blemishes and lusterless look. The use of the wrong cleanser can throw your pH levels out of balance. The pH level should be 5.5, that is where the thin protective layer on the surface of the skin called acid mantle operates well to keep the bacteria, toxin, and germs away to damage the skin. Therefore a correct value of the pH should get chosen considering your skin type. The hands are first to catch the bacteria, dirt and germs from other sources and strict care is a must before touching the face. Unless followed strictly the hands do transfer the harmful bacteria to other parts of the body enhancing the growth of pimples and acne and blackheads and in particular on the face. It is prudent not to use the pre-used washcloth on face after the cleaning. Ensure that the washcloth is disinfected using an antiseptic. This method provides that no germs or bacteria come in contact with the skin. Do not rub the cloth on the face but pat dry it. It is essential to keep the face skin hydrated and remain healthy at all the times, for this lukewarm water is ideal. The lukewarm water or the water should stay at the room temperature. Hot water removes all the essential oils of the face and cold water breaks all the capillaries of the skin. It is important to get bacteria and dirt from your face daily twice. Once when you are up in the morning and 2nd when you go to sleep at night, You do not need to do it too much as the natural oils of the face get destroyed. It will result in dryness of the skin and lead to irritation. The fine pores of the skin do not get clogged on regular two washes daily. The suppleness and fresh look of the face remain intact. Don’t ever rush through the cleansing process. Ensure to adequately and thoroughly remove the soap or other cleaning media. Any left over would produce dryness and cause irritation. Therefore, ensure to pay close attention to your cleansing routine. The result will benefit you by giving you a perfect any spot free skin that you always desired. The skin requires a bit of attention always. Provide a little care and; it will in return give much softness, glow, and love without burdening you. 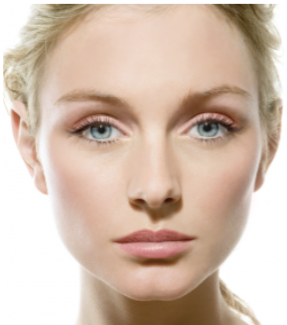 You should experiment with the following methods to maintain a good glow. Drink 2 liters of Water daily. Skin needs a lot of water to remain very pleasant to feel and look. Thye only way for this is to take a minimum of 2 liters of water on the daily basis. Be careful and never be dehydrated: Avoid staying in the sun for a longer period than 10 – 1 5 minutes as you are protecting yourself and remaining hydrated. It is best to avoid taking caffeinated beverages like tea, coffee, and soda as they dehydrate the cells thus making the wrinkles rush on the face, neck and elsewhere earlier than expected. Use fewer layers of Lotions or creams: The skin is the largest organ of the human body and needs constant care. It is best to let it breathe as much as possible. 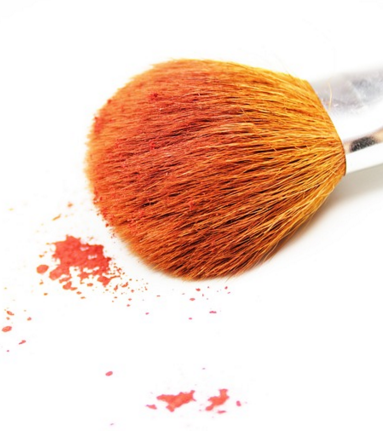 Do not smear material or chemicals that clog the pores regularly. Give plenty of fresh air to the skin: Move out to the open space in nature like a park or jungle trail. Mingle with the nature on a regular basis facilitating a healthy skin that you cherish. Keep away from Mental tension: Avoid mental pressure when unnecessary, So it is always right to be aware of situations which lead you to mental stress. Be prepared and solve your problem at the earliest otherwise, they can take away years from your skin. Do a lot of exercise, yoga, run, walk or jogging so that skin sweats much, it will maintain elasticity of your skin and of course the look as well. Have a good Nourishment: Start your first meal consisting of fresh fruits, and nourishing breakfast with Oats or Whole wheat bread with healthy fats from Yogurt, olive oil, eggs with no artificial sugars. Ensure correct amount of proteins, carbohydrates, and essential fats in your breakfast. Fats are needed to lubricate the skin and moisturize. Stop smoking Altogether: If you want to see a dramatic change in the texture and feel of the skin then take the bold step of quitting to smoke. The change will come slowly but steadily over a few weeks. Put on Sunscreen: In tropical weather ensure a proper sunscreen is put on, and SPF index has to be above 30. 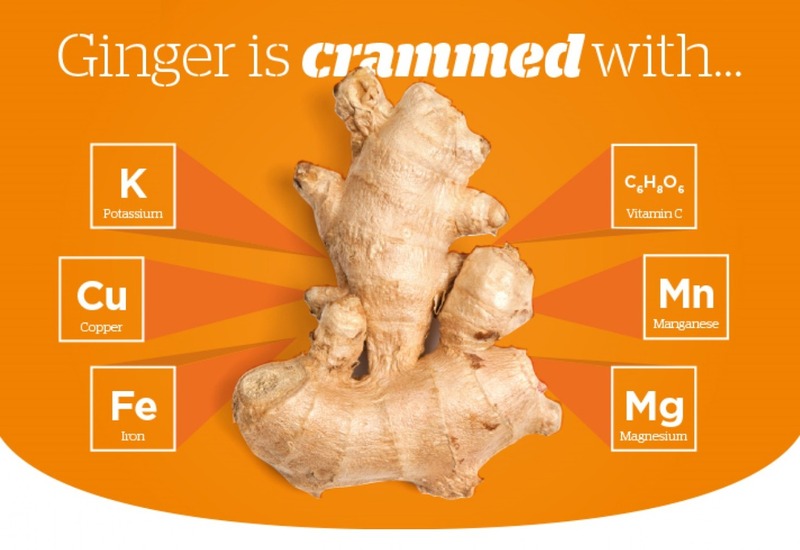 Ginger is not just a robust taste it has some elegant advantages. It is stuffed with antioxidants and is sterile in nature, which makes it very useful to solve different hair and skin difficulties. 1. There are antioxidants in Ginger ensure and enhance the blood circulation thereby reducing the toxins.Ginger eliminates symptom of aging like dry skin, subtle lines, wrinkles and retains the skin as fresh. 2. Removes acne and scars: Ginger has antiseptic properties. It also acts as a penetrating cleaner for closed pores and discharges any acne-causing germs. It also purges dead surface cells. Also, ginger works on toning the skin coloring as well. 3. Heals dandruff: Ginger uses its antibacterial characteristic to decrease scalp germs and dandruff difficulties. 4. Hastens hair enhancement: A frequent use of ginger aids blood circulation in the scalp and promotes hair growth. With the help of its nutrients containing Potassium, Phosphorous, Iron, Zinc, Copper, and vitamins, it also improves dry hair and split ends too. 5. Soothes skin burns: Ginger also helps in skin burns. Dabbing some cotton soaked in ginger juice calms down abrasions on the skin instantly. Why Papaya is highly useful for Perfect Skin. Papaya’s Alpha Hydroxy Acids(AHA) remove and exfoliate the dead skin cells. The protein of dead cell must get removed first for making a soft and silky skin. Papain, found in a good measure in the Papaya has nearly the same properties as the AHA and safe to use in treating the skin. 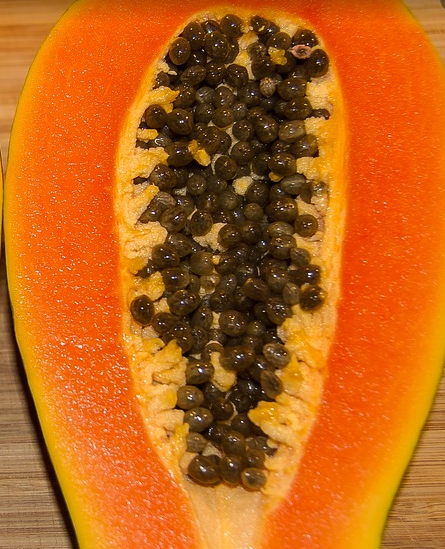 Papaya is a plant based fruit and safe to use as an exfoliator. To free, the dead cells of the skin, apply and massage the pulp of the papaya on the face for five to six minutes. Wash the face gently using warm and cold water alternately. It is done for three cycles and not more. Take care and do not use the pulp much as being acidic may damage the skin by causing dryness and skin irritation. How does salt help in making a clear skin? The marks and blemishes of skin bother all when you look in a mirror. One becomes self-conscious. These scars are due to the modern way of living: Fast food, alcohol, eating habits, junk food and late night sleeping pattern and of course the polluted air in the cities. The remedy is to use Epsom salt or the sea salt. 1. Salted water will make and clean the body and the complexion.It also lightens the dark spots on the human body. Experts recommend that regular bath with soap cleaning gets taken before the salt water bath. 2. 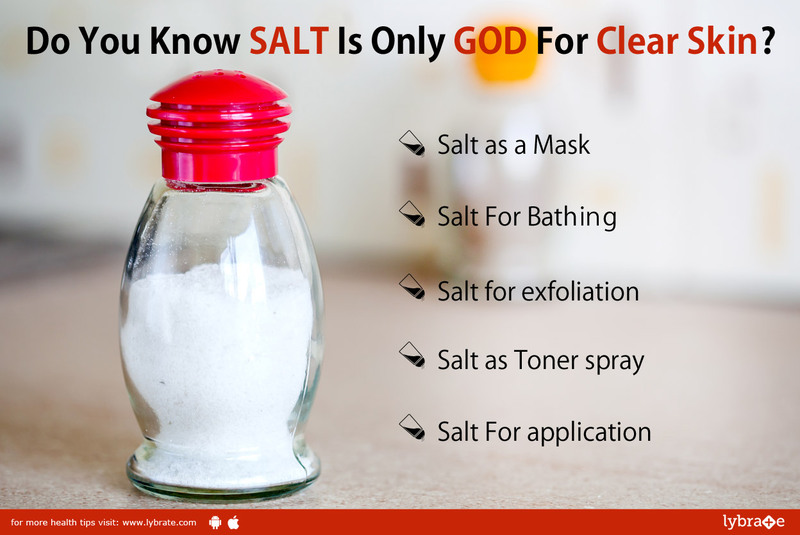 Salt for applying – When two teaspoons of seawater mixed with water is applied using cotton thrice daily, bring good results of treating acne. The salt water in regular water can diminish moisture and also drive out oil generated by the skin. The pores get opened with no chance of getting covered again, and the bacterial build-up gets controlled. 3. Salt Mask: Salt and honey mixture make an excellent mask for the skin. Both these components have the anti-inflammatory attributes. Such a mask comforts the skin, maintains the water content of the skin and checks the oil generation. Finely ground the sugar, and mix with the double the amount of raw honey makes an excellently balanced scrub for the skin. 4. Salt as toner splash – Ensure the eyes remain closed when spray gets used. Prepare the spray, a teaspoon of sea salt mixed with some warm water in a spray bottle until the salt disappears for an ideal spray toner. 5. Salt as exfoliator: Salt is known to be a skin exfoliate and gets usually seen in body scrubs. One can also get scrubs at home by blending aloe vera juice or gel, salt, an essential oil and dehydrated lavender flowers. An Orange is nature’s excellent gift when it comes to working for the skin in most of the perimeters of glow, fresh and young looking, rich in antioxidants. It is heaven sent a contribution to man’s well-being in looking smart and active. It is a perfect scrub by itself. To start with a trial of getting the glow from the frozen orange peel cubes. It acts as a mask as you rub frozen cube on the face. Splash water on the face to see the new and glowing face. One can count at least four good effects on human’s skin. 2. The vitamin C and magnesium present in the orange peel powder. On regular rubbing the orange peel powder on the face, the antioxidants negate the free radicals thus keeping the wrinkles and sagging skin disappear, and that is what is anti aging. 3. Removal of Dead skin: It acts as a powerful scrub thus driving away sheets of the dead and decomposing skin. 4. Moisturizing: The essential oil & potassium now in orange peel moisturizes & hydrates the skin at the same time.